Yosemite National Park spans across nearly 750,000 acres, which can make planning a trip here seem daunting. Worry not, these tips will help you make the most of your first visit to Yosemite. Yosemite, America’s third National Park, turned 125 years old in 2015. It remains one of the finest examples of land conservation, and the human recognition of nature’s awe-inspiring landscapes in our environment. Carved by glaciers over tens of thousands of years, Yosemite is a place of natural wonder for guests from across the globe. Yosemite is a very busy and popular park, receiving over 4 million visitors each year. Park guests venture from all over the world to the mythical Yosemite Valley to view granite giants of El Capitan and Half Dome. You’ll hear every language imaginable as you line up for lunch or ride on the park’s free shuttle buses. Many hope to see the incredible wildlife in the park, including mule deer, birds, bighorn sheep, squirrels, bobcats, lizards, and especially black bears. Watch your driving speed along the park roads, as bears often cross them at all hours. Those who aren’t successful are memorialized with signs, a sad reminder to take it easy and enjoy the views and watch for wildlife. Yosemite is huge. It’s also still fairly pristine, as nearly 95 percent of the park is designated as wilderness. The most popular and accessible park sites, however, will be crowded with people during the peak summer travel season. Yosemite is open 24 hours a day, 365 days of the year. There is a fee to enter the park. Check for the latest gate charge before you arrive. The Valley Visitor Center, concessions and free park shuttle buses begin operating around 9 am, though schedules may vary. If you’re driving in from Tenaya Lodge from the South Gate, plan one hour’s drive to get to the Visitor Center. By arriving early, you escape some of the crowds and the heat, if visiting in summer. During my family’s visit in late July, we experienced extremely hot temperatures over 100F, making our day-long hiking plans impossible. By 11 am, the crowds and cars make the parking lots and shuttle buses full to capacity. Do some pre-trip research for your Yosemite visit. You’ve heard about how amazing Yosemite is, but what do you and your family really want to see? How much time do you have to visit? What do you enjoy – hiking, car touring or both? When you arrive at Valley Visitor Center, park in the free Village Day Use lots. Have your list of questions prepared for the very knowledgeable park rangers at the center. These helpful folks will tell you whether Upper Yosemite Falls is doable with your young children, where you might be able to spot black bears, or when is the best time to view Glacier Point. Their local knowledge is gold in helping plan a great visit. 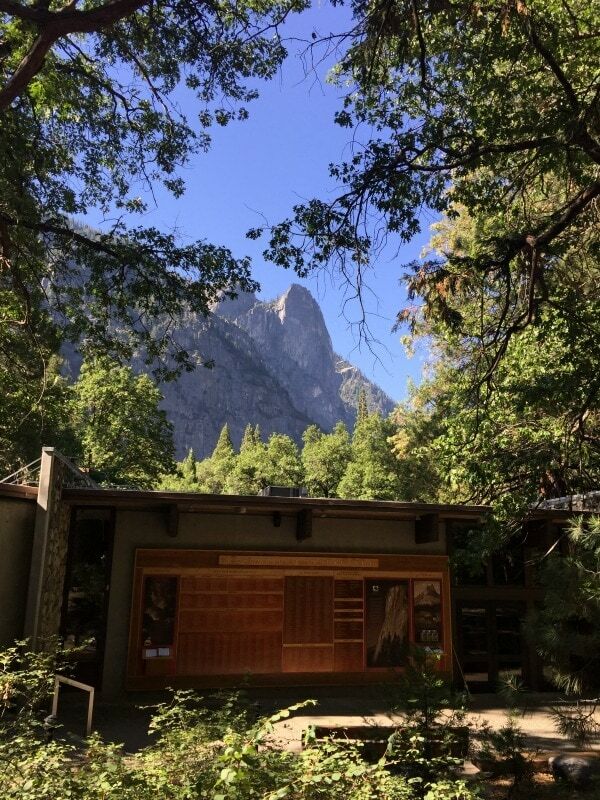 If you have time, watch the Spirit of Yosemite at the center for insight into the history, flora and fauna of the park. No reservations are required to visit Yosemite National Park, but if you plan to camp or spend the night in the park lodges, you will need to reserve in advance. 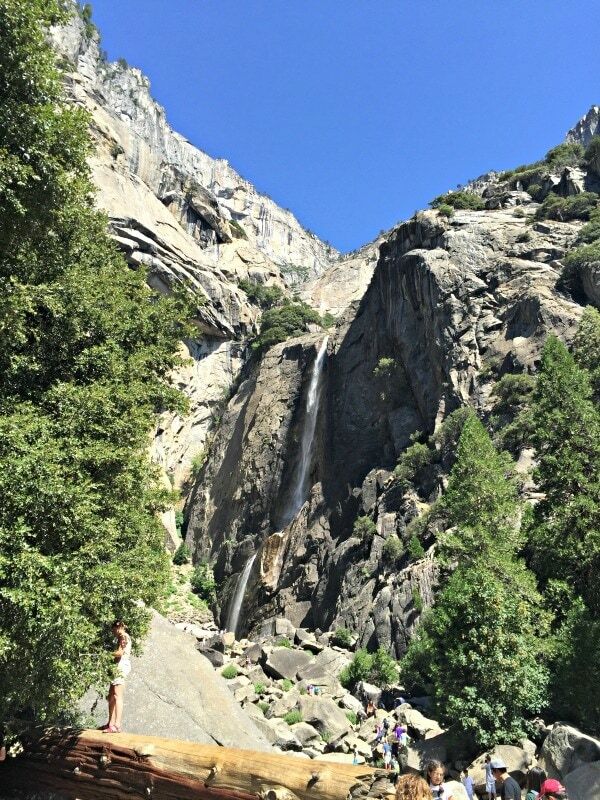 My family didn’t spend nearly enough time at Yosemite – just 2.5 days. When we return we plan to spend a minimum of five to seven days to explore the hiking trails, viewpoints and waterfalls in the park. Yosemite deserves a proper visit. The easiest, accessible and most popular Yosemite sites can be seen from viewpoints along the road or short walks. 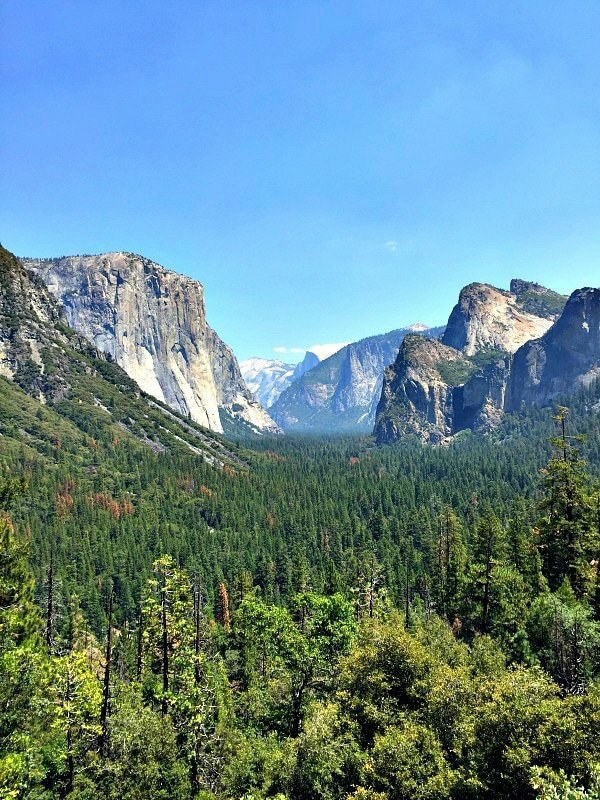 These include El Capitan, Half Dome, Glacier Point, Lower Yosemite Falls and the Tuolumne Meadows. This is what you’ve waited for, the magnificent scene as you exit from Tunnel View heading north toward the Valley Visitor Center. Your first view of the tree-lined valley surrounded by towering granite walls of El Capitan and Half Dome will cause involuntary oohs and awes. It’s worth stopping more than once at the Tunnel View parking lots for extra pictures. Try though you may, your photos will never quite capture the immensity of the Valley space or its natural wonder. The Valley is the central hub of the free bus shuttles that travel from site to site within the park. If you’re looking for an easy hike, head to Lower Yosemite Falls for a fine view of the famous waterfalls from the popular trail. There are some bathing pools into which the kids and some adults will be keen to jump in the height of summer. Accessible by car or shuttle bus during the summer season, Glacier Point is close to the South Gate of the park. 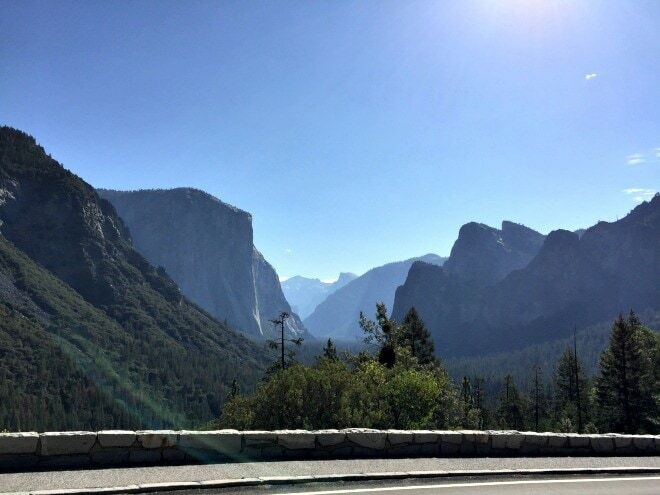 Travel up here for incredible views of Yosemite Valley, Half Dome, and the High Sierra mountains. The scenic Tioga Road in the northeast section of the park is open from late May/early June to November. The drive offers spectacular views, stops, and opportunities for hiking into the park. The road ends at the East Tioga Gate exit, then heads down a steep slope towards Lee Vining and the Nevada border. Just like at Disneyland, not everything may be open or operational when you’re there. Nature needs maintenance, similar to a park ride or machinery. The Mariposa Sequoia Grove is closed for rehabilitation until spring 2017. You can still see giant sequoias at the Tuolumne and Merced Groves, but you’ll need to hike three miles into those sites to view the trees. Have you visited Yosemite National Park? What advice would you share with first time visitors? So, beautiful! Someday I’ll visit Yosemite! One of my favorite places in the entire world! A wonderful park! I highly recommend going in the off-season. It’s a whole different experience! The pictures are just breath-taking. I can’t wait to visit Yosemite with my kids when we move back to the States! Best place ever! The views are amazing! Going to Yosemite in oct.Very first trip and don’t want to waste it wondering around aimlessly .We have 3 days. Going up from our home in Hawaii. Any pointers,advice or recommendations ? Continuing on to San Fran. After that.Thank you and Aloha. Hi Daniel, What a great trip you’ve planned to spend time in Yosemite! If you can book a stay at Tenaya Lodge, do it, it’s a great base to visit Yosemite and has great food and activities for all ages. It’s also close to the southern entrance and the main sites in Yosemite Valley. Begin your day early! While October won’t be as crazy as the summer, it will still be busy. Get a jump on the day and enter the park as soon as the gates open. 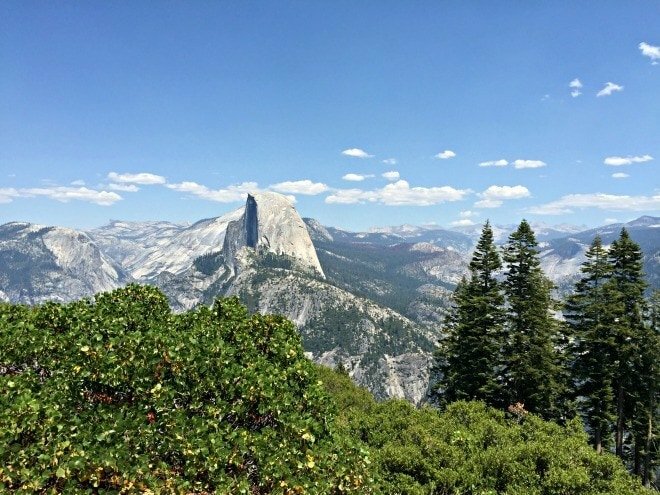 Plan your day around hikes to the waterfalls, (if that’s your thing) and visits to Sequoia Grove (if open), Half Dome, base of El Capitan, and the various viewpoints around the park. Watch one of the movies in the Yosemite Ranger Station in the Valley that explains the history of the park, it’s very worthwhile. And talk to the Rangers when the help desk opens in the morning. They are filled with wisdom and advice, and can point out all kinds of great stuff on the Park Map. There’s so much to see, so plan your time wisely, that’s my best advice. Enjoy your trip! Aloha!